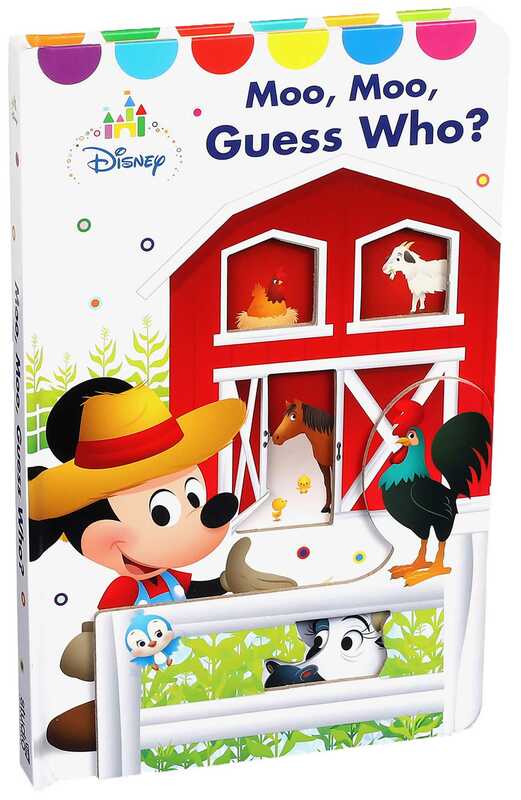 Say hi to Mickey and all his farm friends as babies and toddlers are introduced to a variety of animal sounds and colors in this sweet rhyming board book! Which friendly farm animals are making those sounds on Mickey’s Farm? Little ones will learn cute animal sounds and primary colors in this adorable rhyming book with giant lift-the-flap reveals from the barn to the pond. Book Cover Image (jpg): Disney Baby Moo Moo, Guess Who?